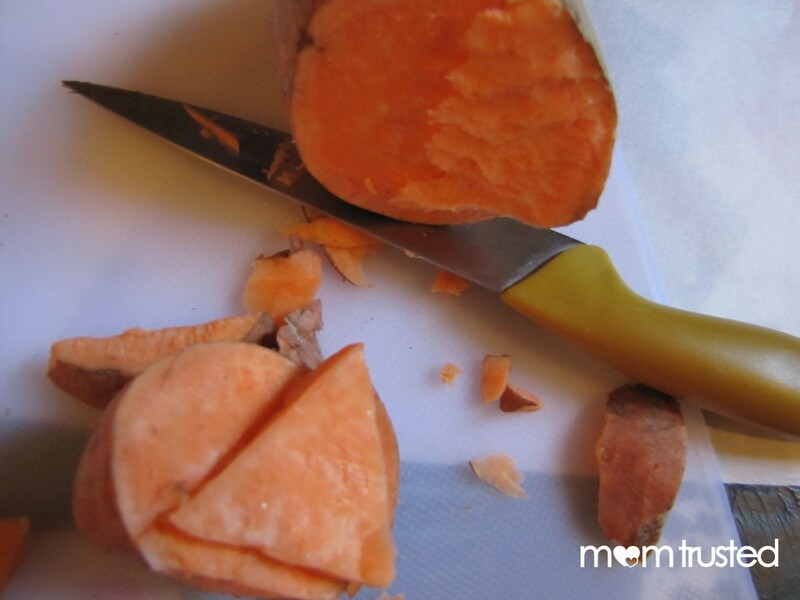 A classic kid’s printing technique is to use potatoes to make stamps! 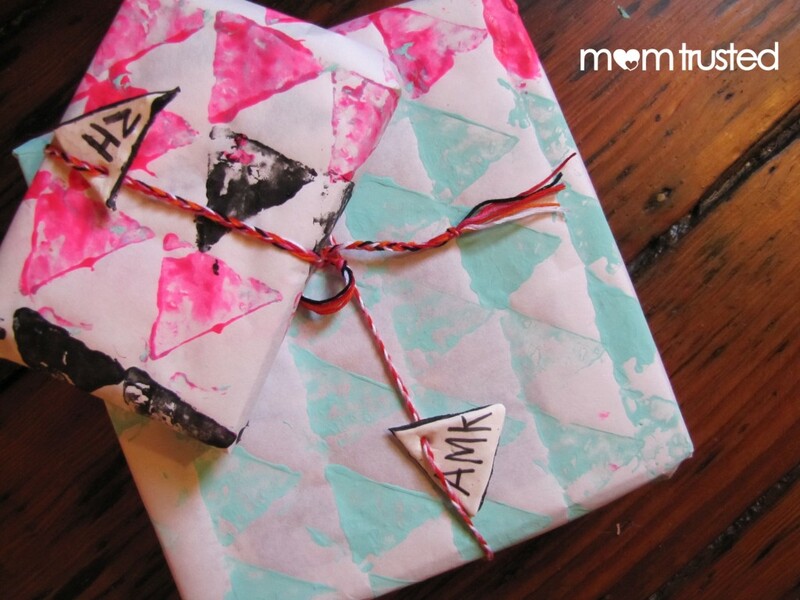 Repeat the process over and over and create a fancy geometric wrapping paper! Once your stamp is ready, you can roll out your paper . If you need to, weigh down the corners so it doesn’t roll up! 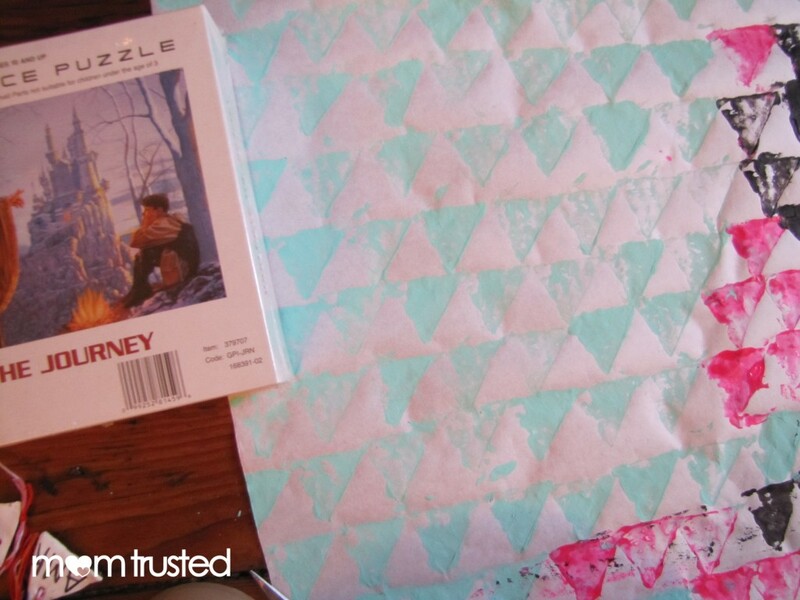 The triangles became an easy-to-follow pattern on our paper. Littler artists might end up going a “random” route, instead of following a pattern, and that will look good too! Switch colors when you’re good and done with the first color. Keep on stampin’! Roll out more paper if your crew gets really into it! 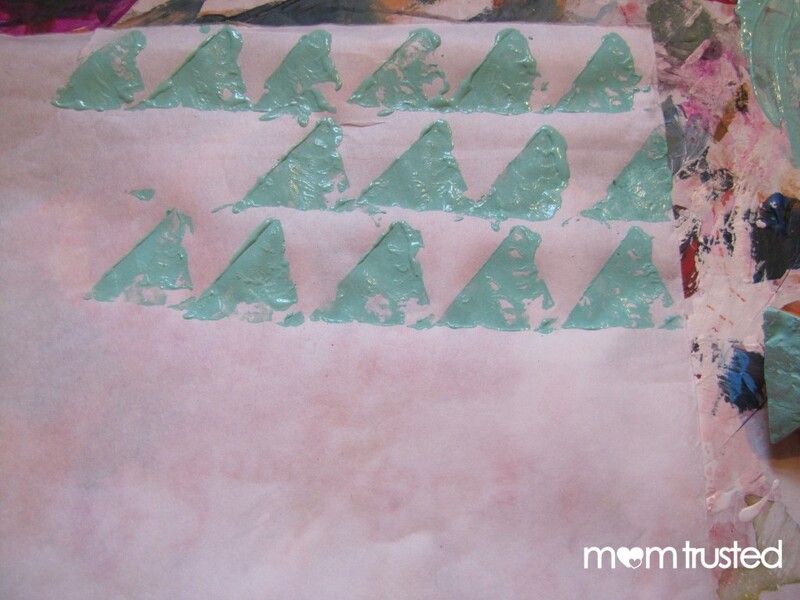 Let it dry, then wrap up a gift! In this case, investing in a slightly more expensive roll of paper might be worth it! We printed on a roll of Japanese paper made of mulberry fiber. 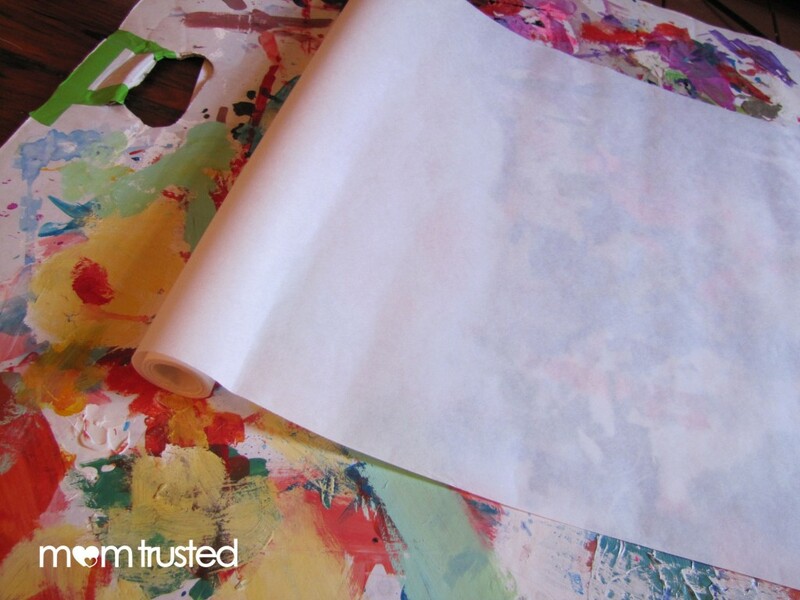 The paper is lightweight, smooth on one side and has a texture on the reverse. 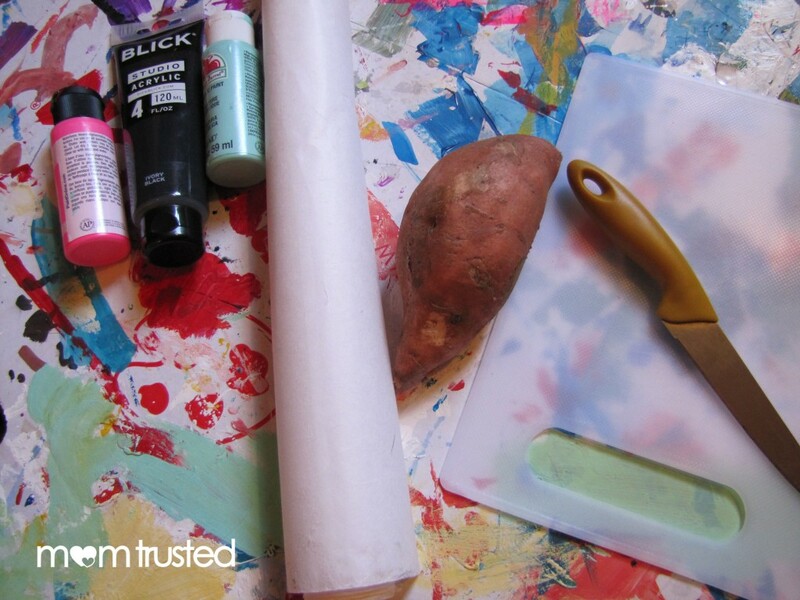 It’s a favorite of printmakers, so this printing project is the perfect time to try it out! 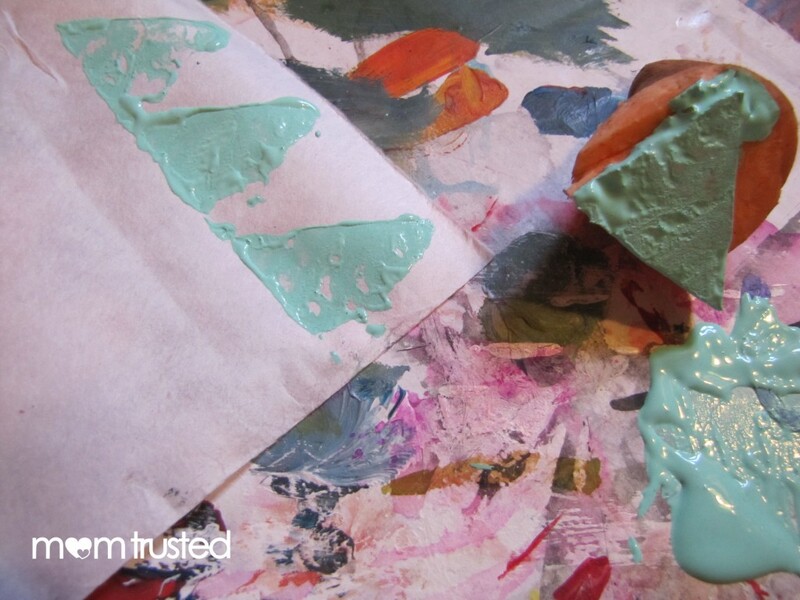 Be creative with your color choices. In this case, I interpreted holiday colors pretty liberally, and I love how it turned out! Moving away from red and green will open up a lot of possibilities, and is a great way to wrap a gift if you’re not sure which holidays the recipient celebrates.